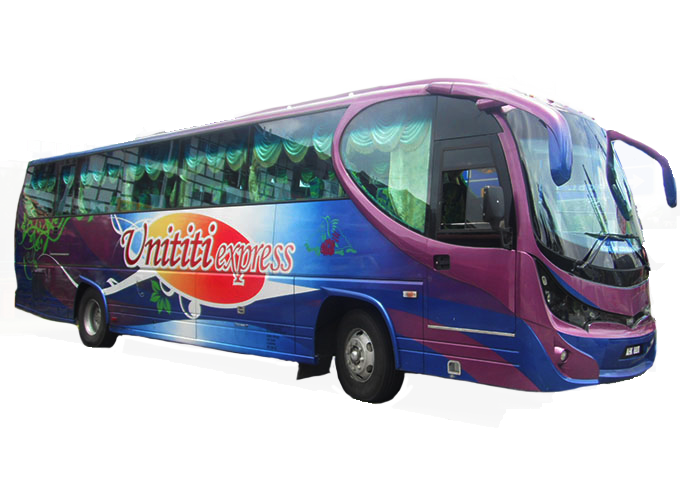 Unititi Express is one of the many reputable bus operators in Malaysia. Among the many trips they provide include trips from Cameron Highlands to various other tourist destinations within Peninsular Malaysia like Ipoh, Kuala Lumpur, Johor Bahru and more. The Unititi team comprises of well trained and experienced staffs who constantly strive to provide the best services possible in terms of safety and comfort. Their buses are fully air-conditioned with spacious legroom and foot rest, ensuring passengers remain comfortable throughout their journey. They operate at many bus terminals, all accessible and convenient for passengers through various means of public transportation including the famous transit hub, Terminal Bersepadu Selatan. CatchThatBus offers online bus tickets to many routes covered by Unititi Express as well as seat availability features. You can book your bus ticket online from our website or via mobile app which can be downloaded for free on Google Play or App Store.